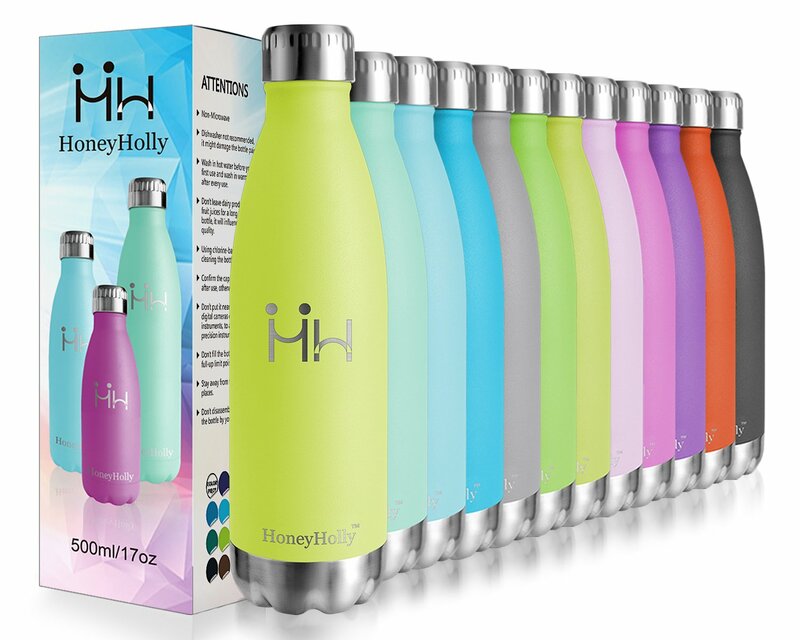 If you love water bottles with great color options, you’ll love the beautiful line of pastel colors available with the HoneyHolly Vacuum Insulated Stainless Steel Sport Water Bottles. 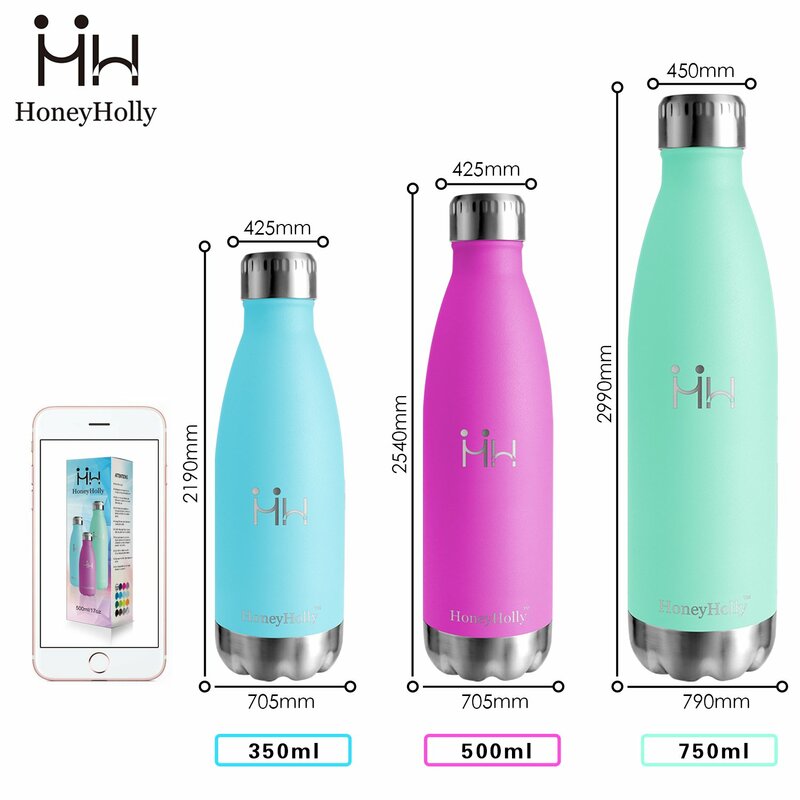 The HoneyHolly water bottles are a good fit for lots of people because of the unique shape, affordable price point and good insulation. 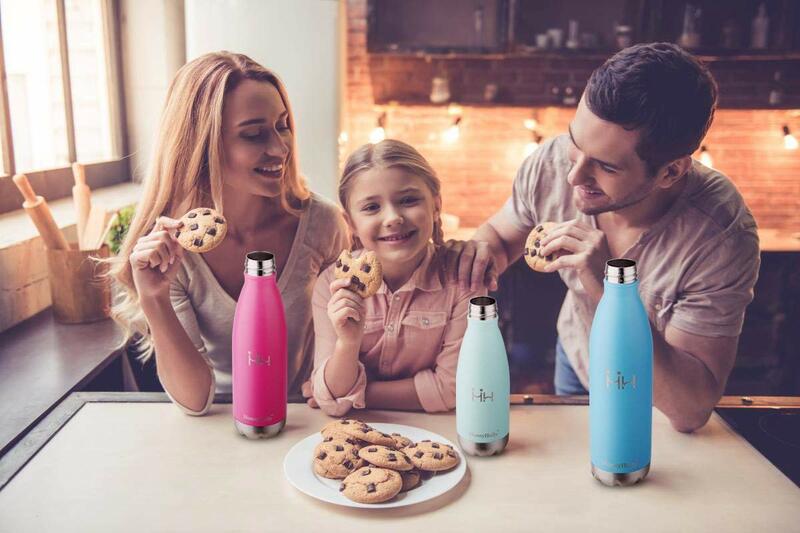 In many ways, HoneyHolly offers a water bottle for the whole family. Read our full HoneyHolly Stainless Steel Water Bottle review to learn more about this water bottle option. HoneyHolly offers a few different kinds of water bottles, but our favorite option in the insulated stainless steel version. We’ll go over everything you need to know about this water bottle in our HoneyHolly Stainless Steel Water Bottle review. The cola shaped design is a unique element of the HoneyHolly water bottle family. It’s available in three different sizes and many different beautiful colors. HoneyHolly recommends using the smaller 12 oz bottle for children in the family. 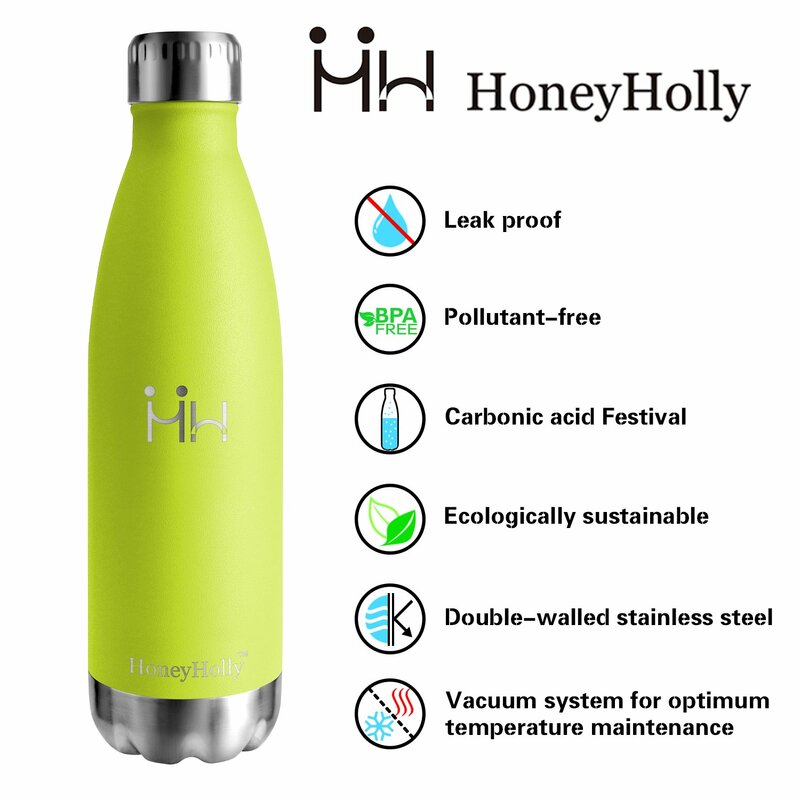 Some HoneyHolly Stainless Steel Water Bottle reviews say that the bottle design makes it easier for them to remember to drink water. Having a leak-proof design is important with reusable water bottles. Nobody wants to deal with liquid unexpectedly coming out of their bottle. The HoneyHolly twist anon-spill lid is vacuum-sealed, insulated (for extra temperature control) and leakproof. The HoneyHolly stainless steel water bottle also uses a special rubber paint, which means the bottle is non-slip for easy handling. The bottle is also insulated via double wall technology. This means the bottle will be comfortable to hold whether you’re drinking a cold drink or a hot drink. 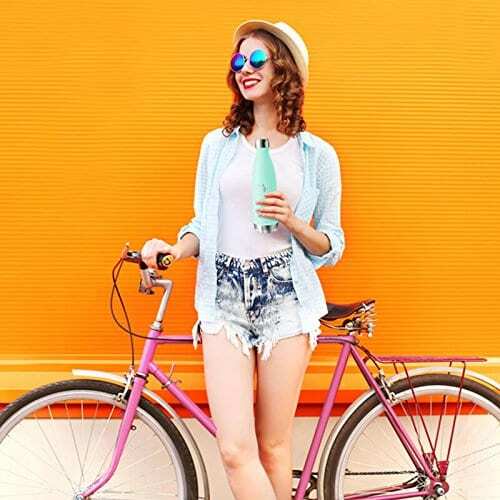 Beautiful pastel colors: The colors will catch your eye and help you feel more motivated to drink because you’ll notice your beautiful bottle sitting on the table or nightstand. 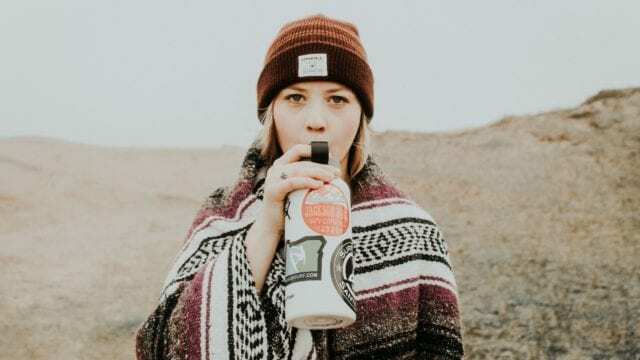 Good insulation: This bottle will keep drinks cold for up to 24 hours and hot drinks warm for up to 12 hours making it a great choice all year round. One-year warranty: HoneyHolly has a satisfaction guaranteed one year warranty. If you aren’t satisfied with your purchase for any reason, they’ll replace or issue you a refund. 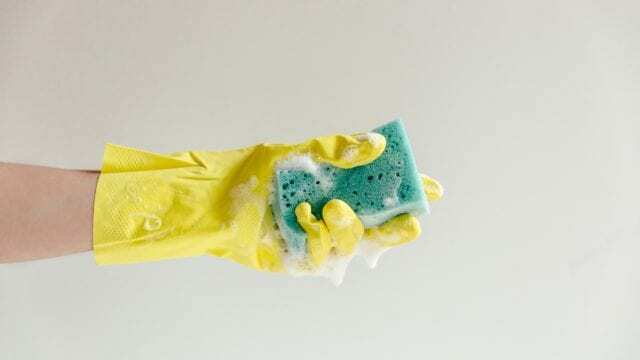 Difficult to clean: The lid is deep and narrow, making the bottle more difficult to clean. We recommend buying a cleaning brush and learning to clean water bottles in a few different ways. Not all colors available in all sizes: If you have a particular color you want, you may not be able to choose the size because some colors are only available in some sizes. Possibly not leakproof: HoneyHolly warns you not to put the bottle near electric equipment like computers and digital cameras. Either this means that the bottle isn’t leakproof or the company is worried about spills if the lid isn’t on. We recommend keeping your water bottle lid on when you’re not drinking from it and when you’re around electronics. Smaller sizes: Because these water bottles only go up to 26 oz, these bottles may not be big enough for some people’s desires. If you want a bigger bottle, check out our other top picks for best insulated water bottles. These water bottles offer great features. We’ll go over our favorites in this section of our HoneyHolly Stainless Steel Water Bottle review. All HoneyHolly bottles are BPA and toxin free. 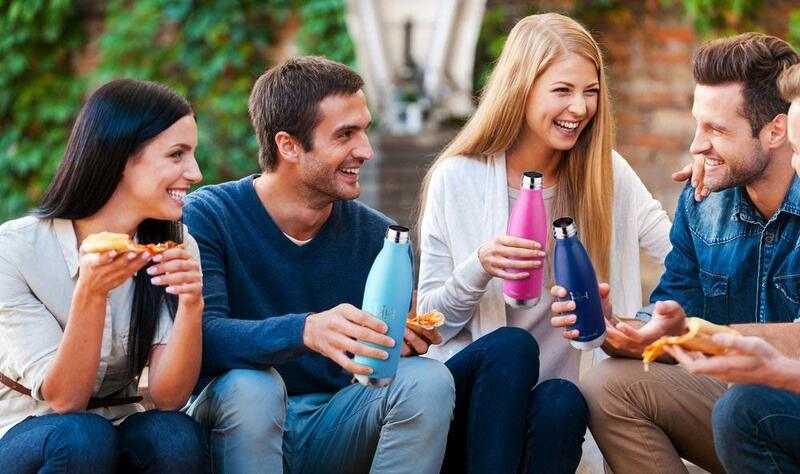 The company uses no-rust stainless steel, which will give your bottle an extremely long shelf life. 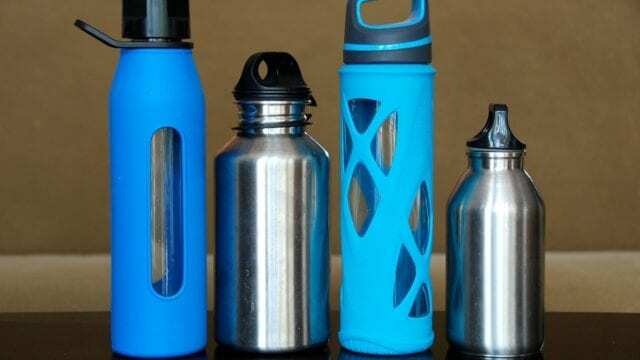 If you want to use your bottle for other types of beverages such as tea milk or coffee, the no-rust material will help keep your bottle in good condition. HoneyHolly uses double-wall insulation technology, which enables the bottle to keep liquids cold for up to 24 hours or hot drinks warm for up to 12 hours. This also means the bottle will not sweat or produce condensation. 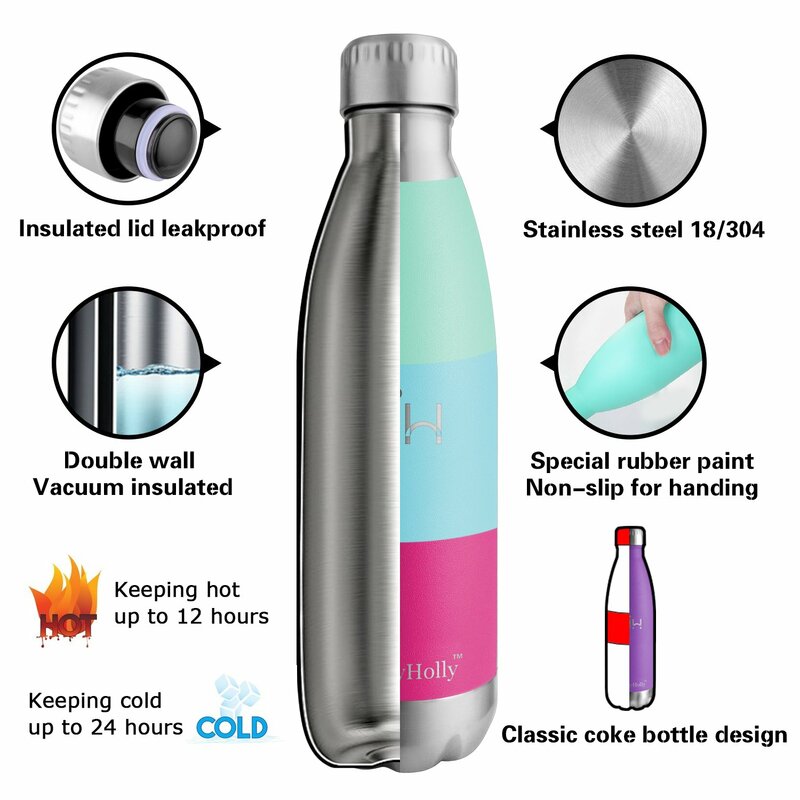 After our full HoneyHolly Stainless Steel Water Bottle review, we feel that this is a highly effective insulated water bottle at an affordable price point, look no further than HoneyHolly. As the lowest-priced water bottle we’ve included on our list, we think the HoneyHolly offers great value. If you like the features available with HoneyHolly, learn more about these bottles. Have you used this water bottle? If so, leave your own HoneyHolly Stainless Steel Water Bottle review below.